Authentic and excellence are the words most often used to describe Gypsy Soul and their music. The duo’s multicultural heritage helps inform both their message and sound, attracting audiences with their soulful blend of Roots, Pop, Blues and Jazz. Their wistful story began in Scotland when Roman Morykit (UK) and Cilette Swann (Canada/US) made a promise to each other to make both their living and their lives from their art. Gypsy Soul celebrates their 20th anniversary as professional touring and recording artists in 2017. 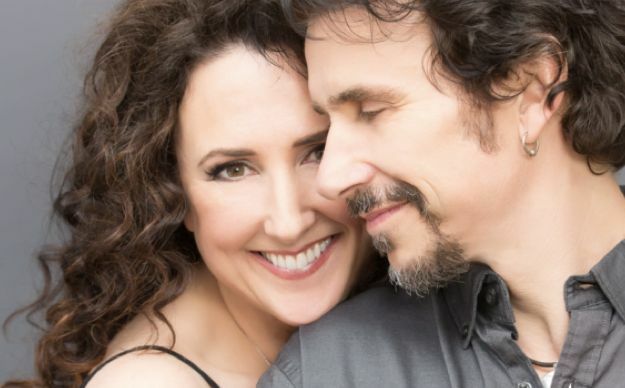 Over the past two decades, the pair have had a Top 40 hit with “Silent Tears” and have won numerous songwriting and performance awards including both the International Acoustic Music Awards and the Independent Music Awards. They’ve earned over 1.6 million downloads and have sold out numerous theaters including Triple Door and Musical Instrument Museum. They’ve also garnered Critic’s Choice in over 70 magazines and newspapers and have had their music placed in numerous hit TV shows and motion picture films. Most recently, songs from their latest CD, True are being reviewed and played throughout the US, UK, Ireland and mainland Europe. Cilette Swann and Roman Morykit will perform as a duo many of the songs from their 13 award-winning CDs including new and vintage originals plus innovative cover songs done in their unique and captivating style. You will hear impassioned four-octave vocals and intricate harmonies, virtuosic acoustic guitar, Dobro and fretless bass. Like its creators, Gypsy Soul’s music is much like fine fusion cuisine…Italian, Irish, South African and Ukrainian to be precise. As with any work of art, their music is born from heartache, struggle, love and determination infused with many textures, nuance and flavors. Their message is both universal and intimate – familiar yet otherworldly.